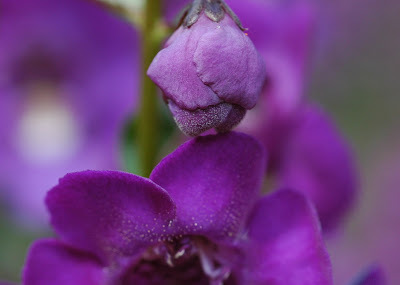 So today I am sharing even more macros of flowers. Mostly in the purple and pink range. I'm really pleased with how my macro work is coming along. I hope to get to the botanical gardens in Chicago before it's winter. My goal is next weekend but we'll see. I also realize that I need a good book for identifying flowers as I really have no gardening experience to speak of - aside from a short stint with a container garden when I worked from home and had no husband or child. Please leave suggestions on a good garden flower identifying book or website if you have one. That's all my commentary for now. Enjoy the photos. See, how I strategically used other types of titles than what the flower is. I love flowers but there are just so many of them. Wow... these are gorgeous!! Love the colors! Those are just gorgeous! I love your work! Very pretty, love the purple. It's the macros that have made me learn to appreciate flowers. I love seeing the little details. 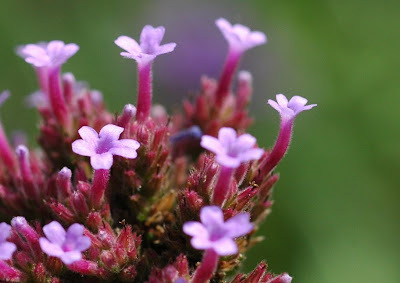 I don't have much experience with the flowers I take pictures of either, but Google image search can reveal some very good links to help identify them on the web. Wow! Thanks everyone. I love the details in flowers - amazing. Flowers are one of my favorite subjects, though I think that's pretty obvious. LOL. Anyway, thanks for the kind words, they made my day!